Parfaits have always been my go-to for breakfast. The mix of yogurt, granola, and fruit is a delicious way to start my day off right! 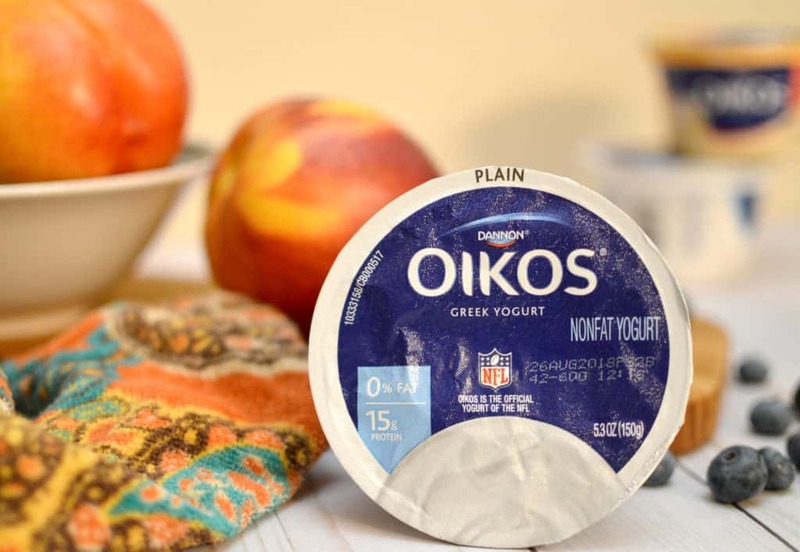 This peach blueberry yogurt parfait made with Dannon® Oikos® Traditional Greek Yogurt is my latest favorite! 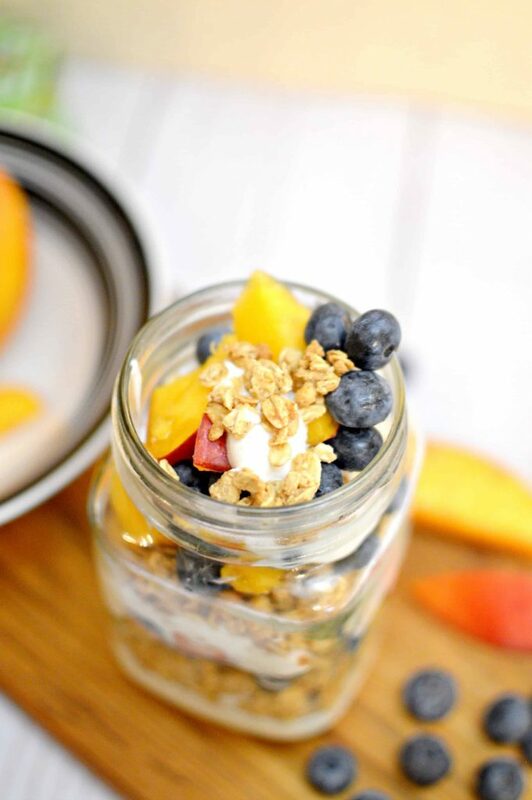 Scroll down for this yummy blueberry peach parfait recipe! 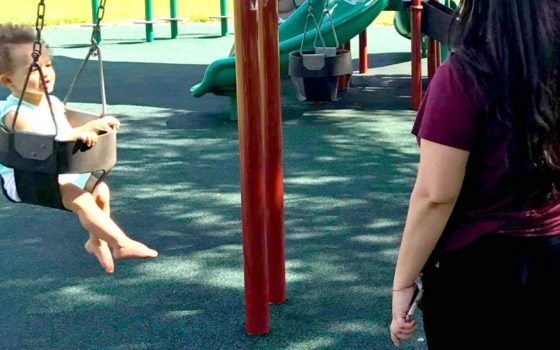 This year, the back to school business seems to have started a little easy this year. Our mornings are staring a lot earlier sooner that I expected them too, so often times I’m left without enough time to really eat. 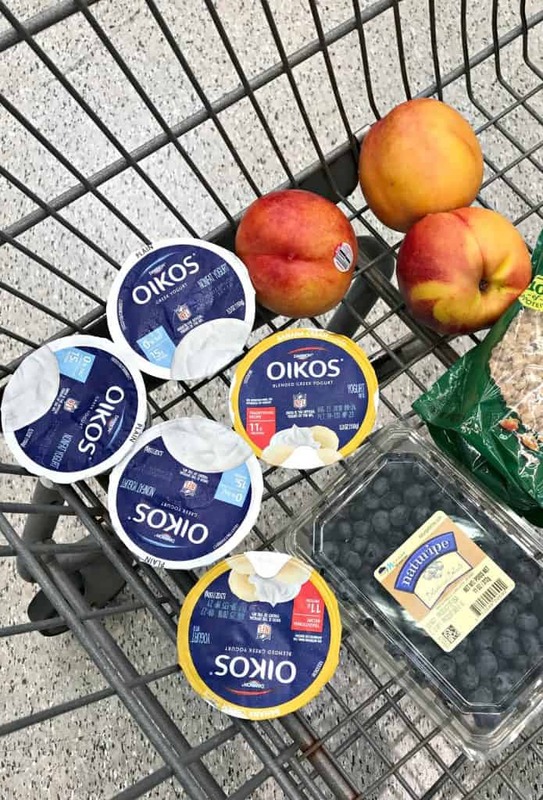 Recently, I started making this new blueberry peach yogurt parfait made with Oikos® Traditional Greek Yogurt for breakfast. 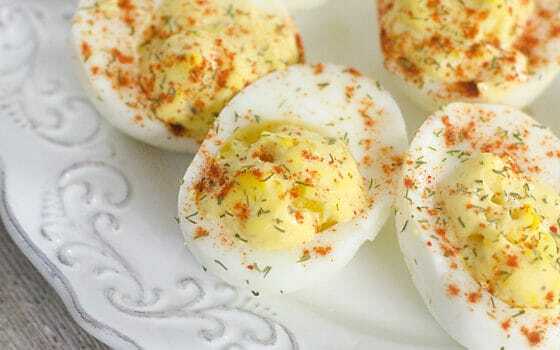 It literally takes just minutes to make and it goes perfect served in a cup or a mason jar to take on the go! 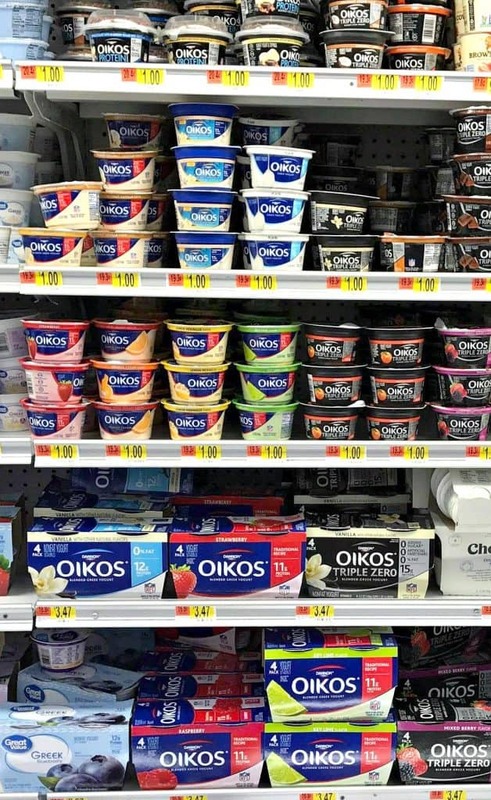 All my ingredients were conveniently bought at Walmart including Oikos Yogurt. Earn an offer through ibotta for purchasing it at Walmart! The ibotta offer is good on the single packs (so many yummy flavors to choose from) and even the 4 pack of yogurt! 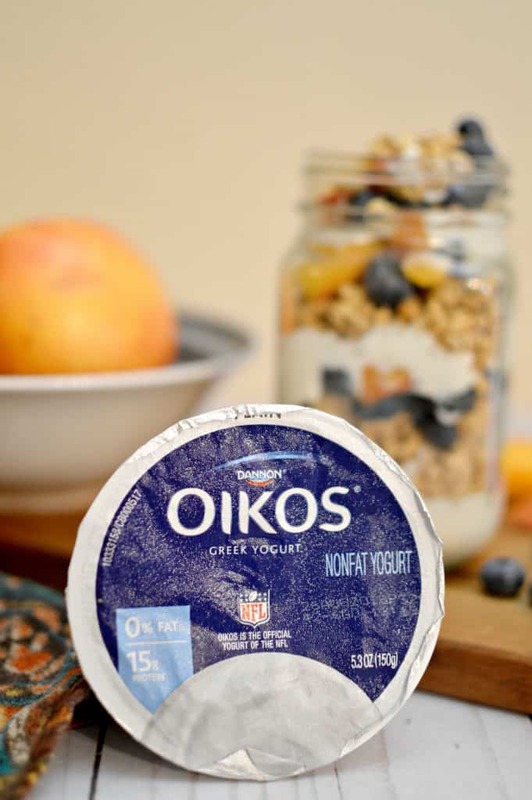 Oikos Traditional Greek Yogurt is delicious! Each 5.3 oz. serving has only 150 calories and 11 g of high-quality protein to help keep me going throughout my busy days! 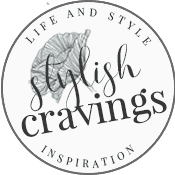 You can also use the banana cream flavor in this recipe to shake it up! Alternatively, you can have it on it’s own with your favorite fruit! Spoon 1/3 cup of yogurt into cup or bowl. Top with a layer of granola, blueberries, peaches. 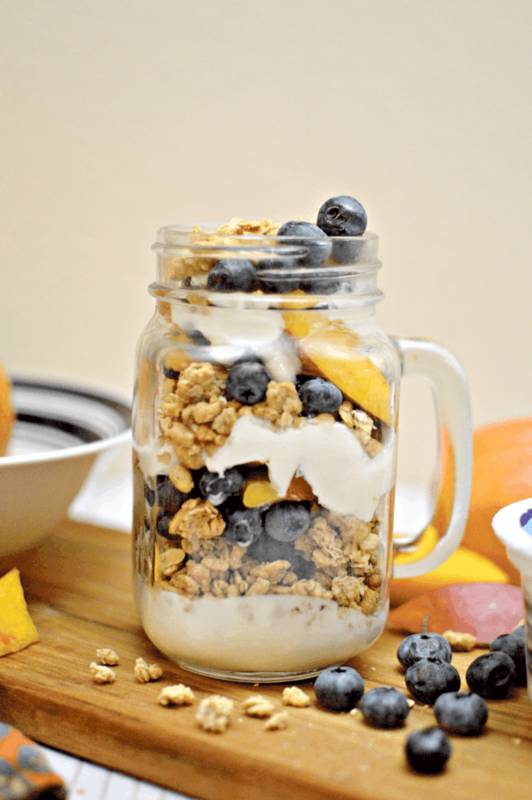 Repeat layers until you reach the top of your cup or bowl and sprinkle more granola and fruit! **Since the greek yogurt has to be refrigerated it’s best to make the parfait in the morning. 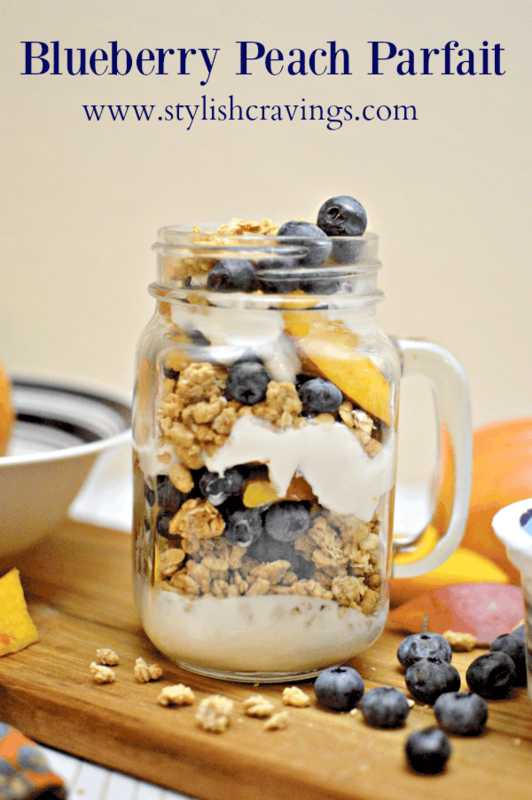 Pin this easy blueberry peach parfait for later!